My little guy turned five last week. 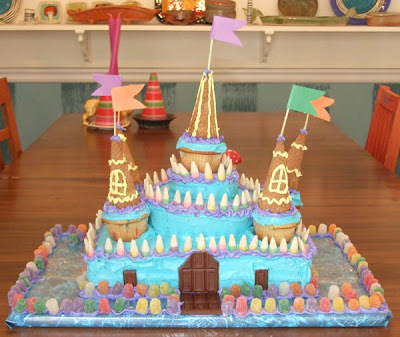 Here's a picture of the castle cake we made. Now as soon as we finished decorating it, I took this photo. As soon as I got the photo snapped he added his people. Because castles have to have people right? He has quite the collection of Disney characters, Ninja turtles, Fairies, Power Rangers, and Super heroes. 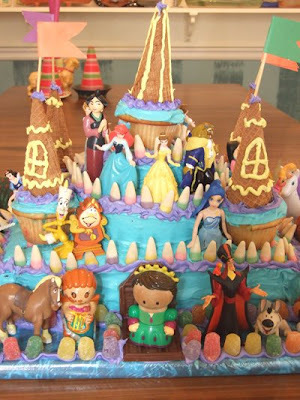 They all live together in his big wooden castle and for his birthday, they lived on his cake.